Now that these political traders are on the prowl again, now that we know how much the election umpire requires to hold the election to facilitate their comeback, should we not seek to know if the cost is commensurate with expected outcomes in form of good governance; what we call dividends of democracy? While seeking virement in a letter addressed to the Senate President Bukola Saraki last week, President Muhammadu Buhari proposed a mind-boggling amount of N242 billion for the 2019 election on the basis of the Independent National Electoral Commission (INEC)’s submission. This has thrown open a debate about the cost of our elections, vis-a-vis the worth of services rendered and the gains from our 19-year old civil rule. With a population of 180 million, why not share the money for everyone to improve their living conditions? Such was a layman’s pedestrian assessment of our form of democracy in naira and kobo. After all, there is only a thin line between the old order of military dictatorship and civil rule. While the military cannot be challenged without consequences, civil rule offers us the opportunity to ask questions, even if we do not get satisfactory answers. But with Buhari’s second coming, even challenging government and asking questions has become tantamount to Police and EFCC invitation for the politicians amongst us or social media stalking battles for others who dare. Citizens would think it was money well spent when they succeeded in defeating the opposition in the 2015 election and in the process enhanced our emerging democratic culture. With the passage of time, the prevailing situation has not given much hope that the country can be re-invented by this crop of politicians. In other words, it has been business as usual. The forces at play treat us as game, as they continue to toy with our collective destiny. Those in government are not doing well and those seeking to replace them are probably not the best around. Worst still, there have been unprecedented back and forth, alliances, mergers, alignments and realignments never seen before in this country. Our political culture is in contradiction with other democratic countries, with the exception of Pakistan, where political assassinations have become a way of life. The general outcry of mis-governance, and misdemeanours, insecurity and lack of capacity, which characterised the previous government of the Peoples Democratic Party (PDP) under Goodluck Jonathan and crystallised into the emergence of the All Progressives Congress (APC), are still very much with us. Once again, the same APC politicians that told us PDP was a “bad market” are singing a different song with a different tune, while dining with their much-maligned co-travellers. So, what and who do we believe? The APC, which came in a blaze of glory, started showing signs of cracks soon after the emergence of Saraki as the Senate president, contrary to the so-called zoning arrangement of the party hierarchy. A series of issues were unleashed on him, including that of the Code of Conduct Tribunal on asset declaration, which went as far as the Supreme Court, whose verdict has emboldened the Senate president and increased his popularity ratings. Thus, the New PDP (nPDP), which he is associated with and which has been in hibernation all this while, has once again become a beautiful bride. Their alliance with another aggrieved group from the ruling party, the Reformed APC (rAPC) has set the new party chairman, Adams Oshiomhole running from pillar to post, seeking for reconciliation, not long after he dismissed them with a wave of hands as rabble rousers. Suddenly the APC chairman has lost sleep and now in a nocturnal move to bring back the renegade Buba Galadima and his gang. Unable to nurture political parties that can stand the test of time and sustain an enduring political culture to serve as bulwark against the bad behaviour of members – including the president – elected on its platform, we are left with a potpourri of “traders” in the name of politicians who seek to “sell” themselves to unsuspecting electorate as in a bazaar. Defection from one party to another, which now defines our political culture, is as bad even at individual levels. Governor Samuel Ortom is a perfect fit for individuals not sure of where to pitch their tent for the 2019 battle. His body language is as contradictory as his statements. In one week, the Benue state governor shifted grounds three times. At a meeting of Middle Belt Forum to discuss restructuring in his state, the governor said his party had given him a red card, an indication of his readiness to ditch the APC. A few days later, Oshiomhole went calling, and the governor changed his statement; attributing his ‘red card’ statement to Senator George Akume and not the APC. By the weekend, the same Ortom told members of the Tiv Professionals Association in Abuja: “I can assure you and the good people of Benue that there is no going back on my decision to exit from the APC”. For goodness sake, can this governor stop talking until he makes up his mind. Can someone tell him silence is sometimes golden? Speculations had been rife in town about defection to the opposition party until yesterday; many had dined with the opposition, they were sighted in their midst, yet their leaders still claimed to be in the ruling APC. The fiery Galadima, the chairman of the rAPC, the unsparing statement from Prince Kassim Afegbua, the spokesperson of the rAPC and the uninspiring role of Kawu Baraje have left everyone confused. Buba Galadima keeps referring to APC as ‘our party’, so they have one leg in and another out. No politician in his right senses can afford to underestimate the power of incumbency, so while these politicians keep the media guessing, our electoral process continues to to suffer a series of setbacks. Instead of political parties, all we have are platforms that politicians jump on every four years to seek office and abandon same once they get what they want. 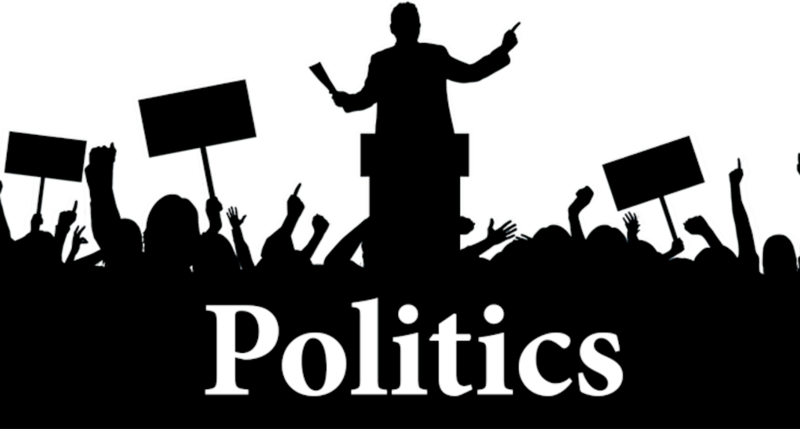 Unable to nurture political parties that can stand the test of time and sustain an enduring political culture to serve as bulwark against the bad behaviour of members – including the president – elected on its platform, we are left with a potpourri of “traders” in the name of politicians who seek to “sell” themselves to unsuspecting electorate as in a bazaar. They simply embark on a merry-go-round and once they get to their destinations, they dump the rest of us. …with all the drama we have seen by self-seeking political actors in recent time, Nigerians now have the chance to assess whether it is wise to spend the humungous election budget and continue with the unjustifiable pay package of our elected representatives who have proven their inability to provide genuine leadership at all levels. Now that these political traders are on the prowl again, now that we know how much the election umpire requires to hold the election to facilitate their comeback, should we not seek to know if the cost is commensurate with expected outcomes in form of good governance; what we call dividends of democracy? If the best man with the best ideas to turn around the nation’s fortunes does not emerge, good governance still a far cry and social services and infrastructure near absent, what’s the justification for such investment in a toxic political class? I know they say the worse democratic government is still better than the best dictatorship, but at what expense? This is by no means an invitation to the dangerous past of military rule. But with all the drama we have seen by self-seeking political actors in recent time, Nigerians now have the chance to assess whether it is wise to spend the humungous election budget and continue with the unjustifiable pay package of our elected representatives who have proven their inability to provide genuine leadership at all levels.